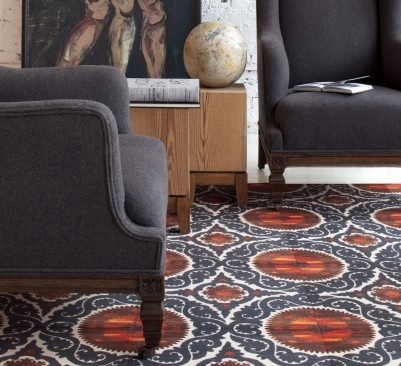 When I tell you that I’m going to share one of my favorite customized floor sources with you today, does that immediately make you think of a very expensive price tag? Well then, you’re in for a nice surprise because this floor product is customized at very reasonable price. We’re talking about carpet tiles. These are not the dingy, generic office carpets that used to define carpet tiles. These are all the products of a fabulous company called FLOR. 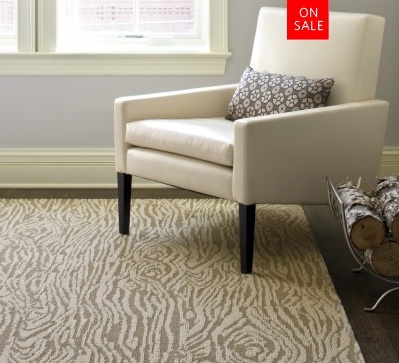 And right now, they are having a great sale going on to make designing your own carpet or rug even more affordable. 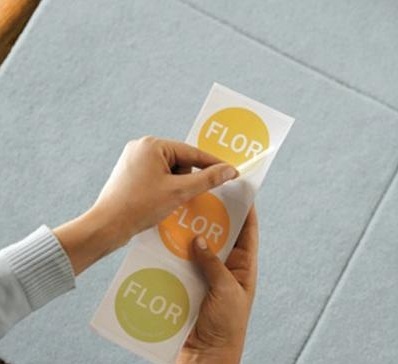 You may have heard of FLOR before on design tv shows or in magazine ads. 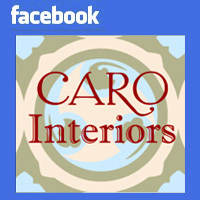 They are the new darlings of affordable, customized rugs for your home. And you can certainly see why with this kind of style. 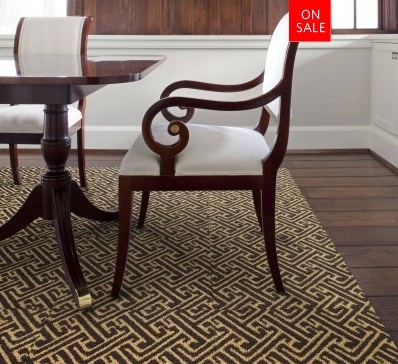 For the price of a regular area rug or carpet padding and carpet, you can afford a very functional and elegant floor covering. 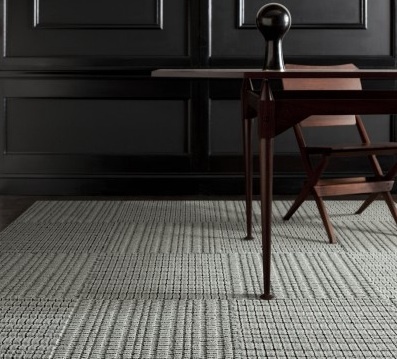 With FLOR tiles, you can customize the rug to the exact size you need in your room, without paying a traditional custom rug size cost. …as well as original forms you can assemble and/or cut to your own tastes and interests. I’m not getting paid or perked to talk about this great company. I only talk about companies that I really like and you can read more about that right here. I love FLOR because it helps my clients put more personality into their homes without breaking their budgets. 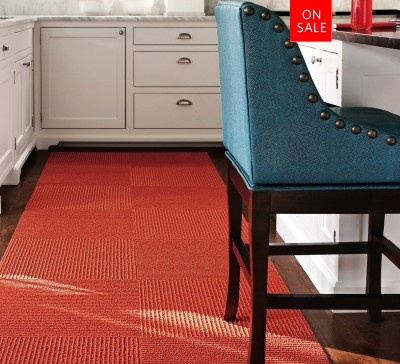 You choose the size of rug you need in the style of tiles of your choice. 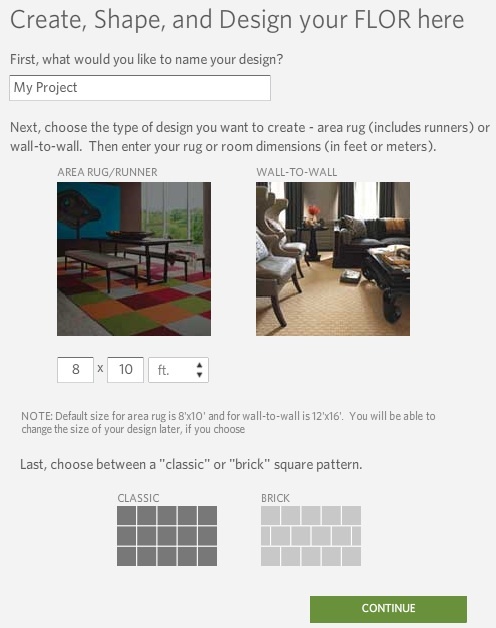 FLOR gives you lots of details about each rug tile model, including the depth of the face fibers so you can plan your rug to meet your traffic needs. When your tiles arrive, you use their dots to secure the tiles to the floor. 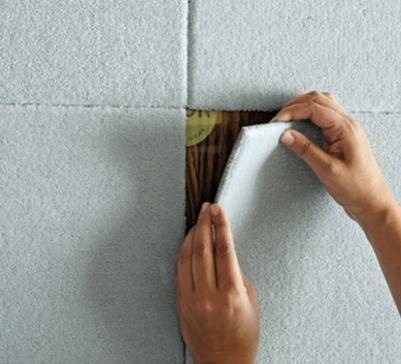 …and little by little, your rug takes shape, right where you want it. 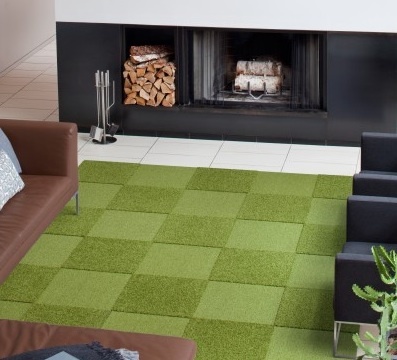 Easy vacuuming, no extra rug padding needed and your rug stays in place. …and by using their user-friendly online customizing tools. 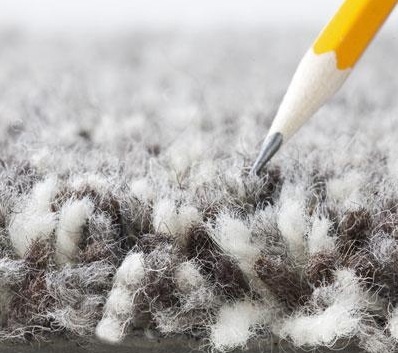 Have you ever had a nasty stain on a carpet that you could never get rid of, no matter how hard you cleaned it? You have probably tried to move a piece of furniture over the stain or replaced the rug outright. Wine, pasta sauce, grape juice, etc. can be every rug’s nemesis. 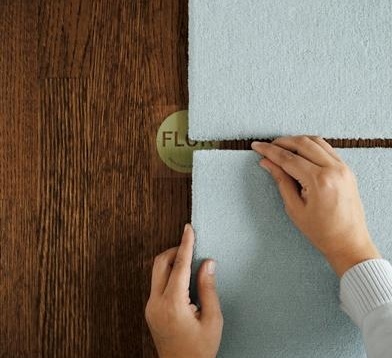 With FLOR, you just replace one or two stained tiles and move on with your life. Did I mention that FLOR is striving for full sustainability? 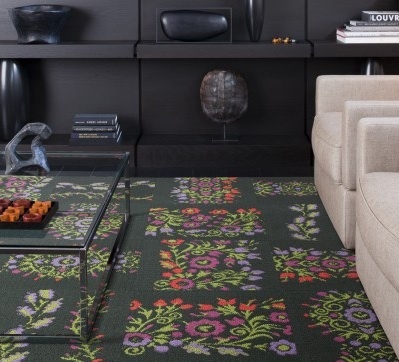 They have a Return & Recycle program that encourages customers to send in their old FLOR tiles so that none of their carpet tiles end up in landfills. You can read more about their ongoing eco-friendly progress right here. You can see the full line of FLOR products on their great website, which supplied all of the pictures for this post. While you’re on their website, you also can sign up for a catalog to make sure you see all of their newest designs. 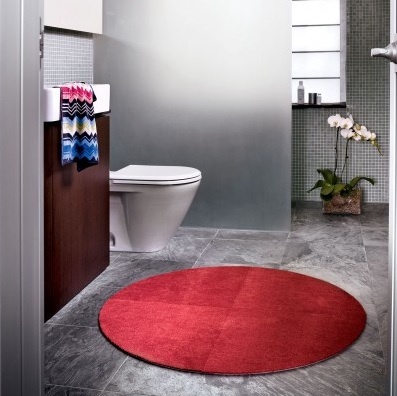 Do you like the idea of using beautiful carpet tiles in your home? 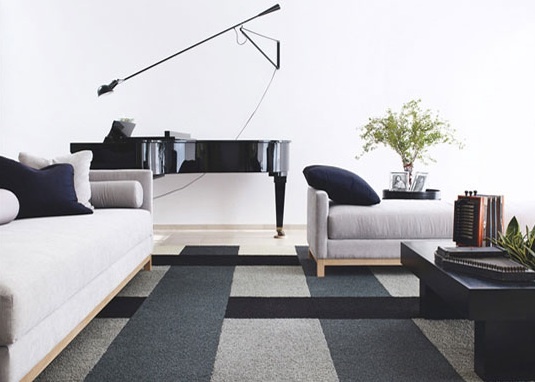 In what part of your home would you put a new rug or carpet? See a pattern or color you love in this post. 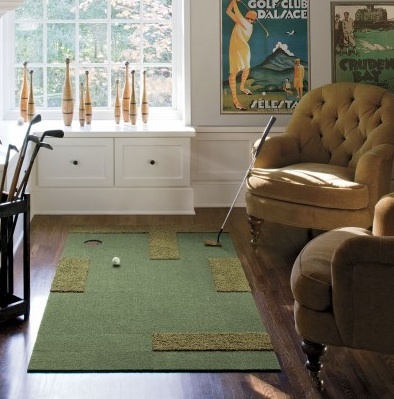 Share your carpet cravings in a comment! Posted on November 3, 2011, in Decor, DIY, Green Living. Bookmark the permalink. 4 Comments. You’re right. 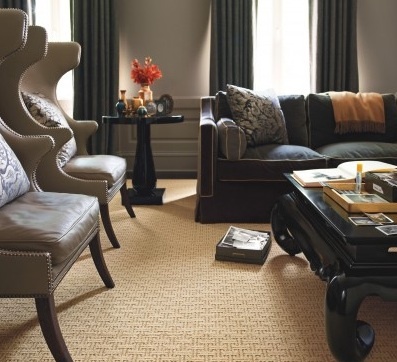 It is hard to find a custom-fit rug or runner. 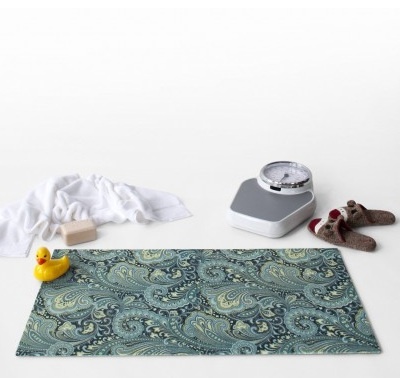 It took me forever to find the right measurement for rug for my long, narrow hallway. When I found it, it was so much I had to save and save. It’s looking a little worn now, 8 years later. This makes me so, so happy! I’m so glad you ladies like this product line. 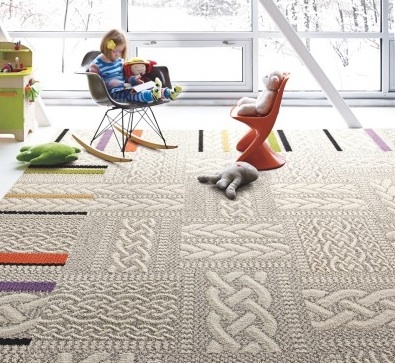 A lot of my clients who are parents like FLOR products as kid-friendly solutions in playrooms, finished basements, as a rug layer on wall-to-wall carpet, etc. It certainly takes a lot of worry out of playtime.